What were the objectives? How was it organised? Who participated? What were the public events of the expertise? What are the results? The French ministries in charge of forest and environment supported the expertise financially on the French side; the participating institutions on the German side are all funded by their own sources. Demand and supply. 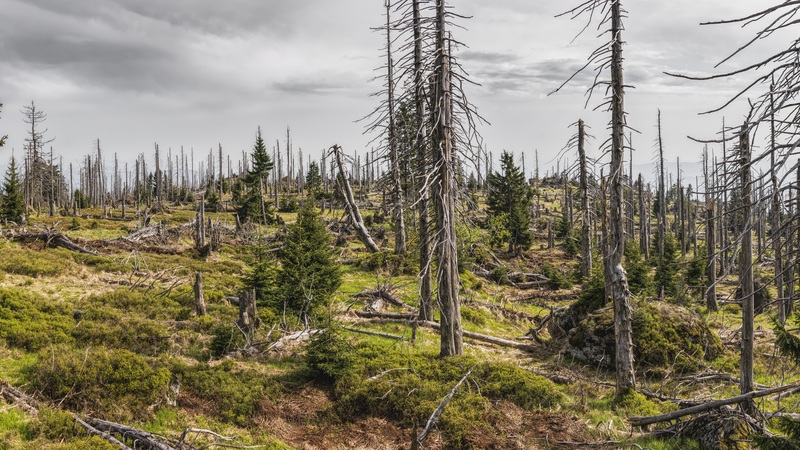 After the drought and the heat which raged during the summer of 2003 in Europe, decision-makers and forest managers needed solid knowledge to assess and anticipate the consequences of this exceptional time in their forests. The French ministries in charge of forest and environment wished a scientific expertise to mobilize, gather knowledge and make it available. At the same time, François Houllier (INRA, French National Institute for Agricultural Research) started discussions with French and German scientists to build a scientific collaboration on the same topics. As the two approaches reached common objectives, the “Drought and Heat 2003” was launched at the end of the Autumn 2003 under the coordination of ECOFOR on the French side. Eventually, the expertise lasted 18 months and integrated the analysis of 2003 data and a state-of-the-art. Action. The expertise was original in its international character: a French-German core group1 and among thirty involved scientists from France, Germany, Switzerland, Belgium, Italy and Austria. The aim of this international cooperation was the mobilization of the available skills and the wide diffusion of the results. This choice brought with it some difficulties (expert’s recruitment, culture differences…) but was a rich experience and the final result is certainly worth the effort. Produce a synthesis of available scientific knowledge and know-how about the effects of drought and heat on tree physiology and forest ecosystem processes: the work tackles the drought and heat impacts through nine major issues (climatology, forest monitoring, pests and diseases, water balance and tree physiology, forest growth, soil processes, biodiversity, socio-economic impacts and forest management). 2003 data analysis was as often as possible included in the synthesis. The results of this important work are published in a special issue of Annals of Forest Science (vol. 63, n°6, September 2006). Answer the questions of the French ministries: at the beginning of the expertise, the two French ministries established a list of their major questions and topics of interest. This list was a frame for the work of the experts. The work achieved, we can now bring a least partial answers to these questions, as summarized in this document (in French) . Suggest management strategies for mitigating the impact of the summer of 2003 and identify needs for future research: knowledge and data produced by the expertise are not directly exploitable by the forest managers. We still need a “translation” work, which has to be a common construction of scientists and forest managers, built on exchanges. This work began with the writing of the special file “drought and heat 2003 expertise” in Rendez-vous techniques (RDVT n°11, winter 2006), technical revue of the French National Forest Office (ONF). The expertise also highlighted gaps in knowledge and lack of tools: some studies or research project have been proposed.